Pastor Allan reminded us that following Jesus is not a one time experience, but it is a life style. There must be a change of heart and a new way of living. We need deep water and a river flowing with fresh water. A river not moving becomes stagnant. Then Pastor introduced James our speaker for today. James relayed that he was raised in church, but in his youth he was in and out. Then he joined the military and got away from God. The last few years he has renewed his commitment to Jesus and began to study and learn more about Jesus. 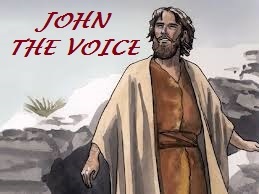 John was the forerunner of Christ and his mission was to preach repentance and baptize. John replied, I am not the Christ, but I am here to tell you about Him. The people asked, “Are you a prophet?” No, John said, for he was on a secret mission to reveal the Christ. John explained, “There comes one after me, who will baptize with the Holy Spirit. I am not worthy to even loose his shoes. John said, the same one who sent me to baptize the same said to me, whom you see the Spirit descending and remain, on Him is He which baptizes with the Holy Ghost. This all happened at Bethabara, a place on the east bank of the Jordan near Jericho, where John was baptizing. As Christians, we are called to be a voice where doors open for us. We are not to be forceful or pushy, but to let our light shine. A good opening is to ask grace over your food while at a restaurant or at work. 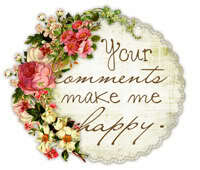 You may get some comments, but that is an open door to use your voice. Conversation is not a place to argue, but you can give your testimony of what Jesus has done for you. Some people may refuse to listen, and some are offended and critical, but allow them to speak, and listen gently. They may have been taught differently, but what does the Word say. Their opinion may not line up with the Word, that is why you need to be versed in the Word. Read and study and allow God to change you first - - Then be the Voice for others to hear. It is when He becomes your life all else fades away. Every day brings a little more excitement knowing I am one day closer to seeing Him face to face. I was just reading this passage yesterday about John the Baptist. Thank you for sharing it. God bless you today.